The LP or Liberalism worldwide faces its dark age when Philippine President Rodrigo Duterte side by side with the Marcoses resumes the late President Ferdinand Marcos’ bilateral ties with China. It starts when both Imee and Bongbong Marcos join the Filipino leader’s entourage during his initial Beijing visit. The relationship of both countries flourishes as economic and security partners. Liberal Party Senators panic and lead demonstrations as the majority of Filipinos are amused with Duterte’s brilliance. 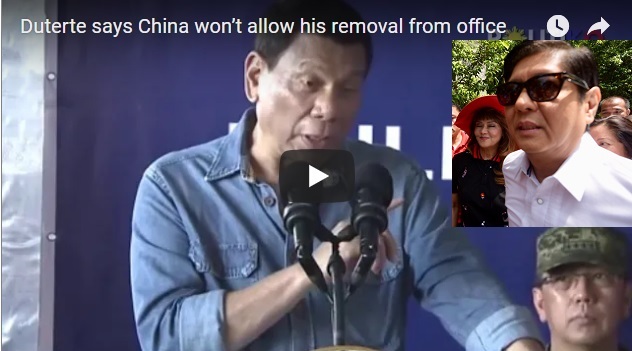 [VIDEO]: President Rodrigo Duterte says China won’t allow his removal from office. The assurances of Xi Jinping are very encouraging.’We will not allow you to be taken out from your office. We will not allow the Philippines to go to the dogs’, Duterte narrated President Xi’s words. 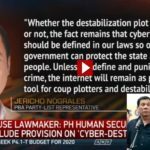 Senator Antonio Trillanes and other LP Senators express their dismay over this declaration. The two leaders met at the Boao Forum for Asia last month. They affirm the diplomatic relationship between Philippines and China amid territorial disputes. Duterte delivers a speech aboard the BRP Davao Del Sur. It docks at Casiguran Bay in Aurora, to lead the send-off for 50 Filipino scientists who will conduct research on the Benham Rise. 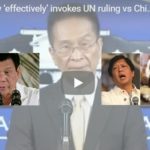 The Philippines takes diplomatic action over the recent military moves and island building of the Chinese government through friendship. Duterte does not go for the international arbitral ruling invalidating Beijing’s vast claims in the South China Sea just yet. He promises to do so during his term. The Supreme Court Chief Justice Maria Lourdes Sereno’s removal results to Duterte’s dominance in all three branches of the government. On top of that, he is still the popular president of the Filipinos. Black media propaganda also deteriorates as people take their stand on social media. 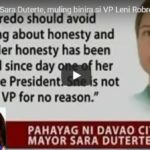 Even American oligarchs cannot defend the LP anymore with China on Duterte and Marcos’ side. Perhaps, even US President Donald Trump also agrees with both leaders’ diplomatic relationship and may follow suit for world peace. Next post: Sandro Marcos Plans to Work Abroad – Not running for Any Election? 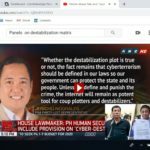 Thank you this site for your real correct news that you are providing to open the eyes of the people to know the truth regarding what happening in our Country.